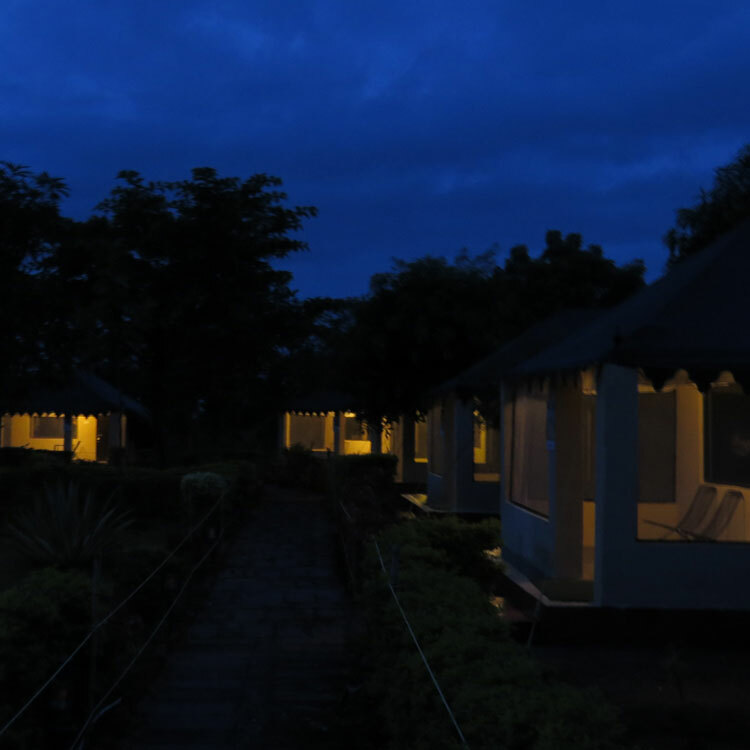 Camp Serai Tiger has good connectivity round the year by road. 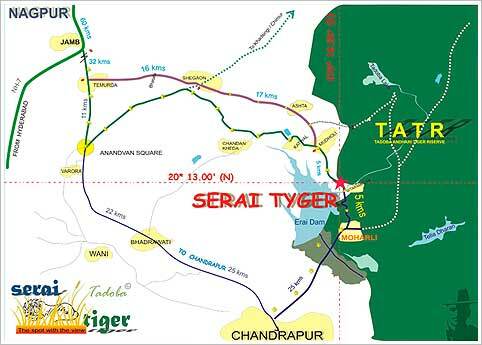 Camp serai tiger can be reached from Nagpur 125 kms (Air, Rail & Road), Wardha 125 kms (Rail & Road), Chandrapur 35 kms (Rail & Road) and also Ballarshah 45 kms (Rail & Road). Paid pickup and drop can be arranged from these places in A/C & non A/C vehicles on guest’s prior request. Navigate to Camp Serai Tiger. Navigate to Camp Serai Tiger. 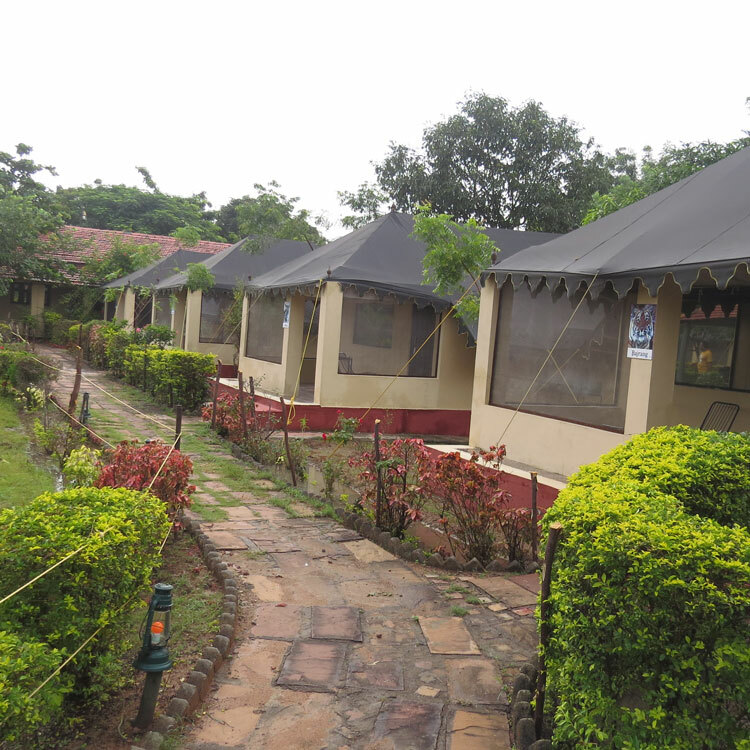 By Air: The nearest Airport is at Nagpur, which is about a distance of 125 kms from the camp. Dr. Baba Saheb Ambedkar Airport (Nagpur Airport), is an international airport, abbreviated as ‘NAG’, having daily morning and evening flights from Mumbai and New Delhi, apart from other national and international flights. By Rail: The nearest Railway Station is at Chandrapur (CD), (about 35 kms), Ballarshah (BPQ) (about 45 kms) and Nagpur (about 125 kms) from the Camp Serai Tiger. All major trains commuting between the north – south and east – west, passing through these station, make a stop at these stations. 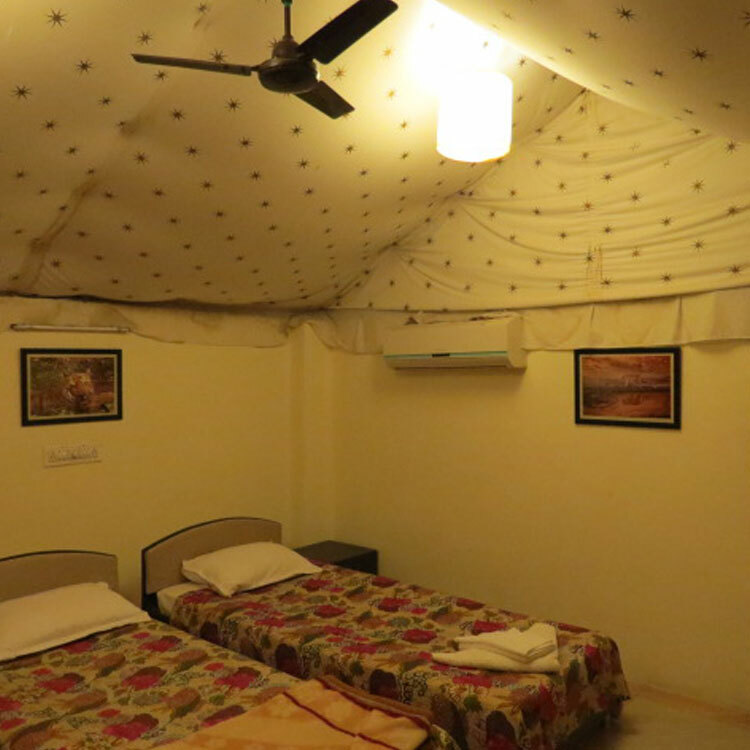 By Road: Camp Serai Tiger is approachable via NH-7 from Nagpur till Jamb and then SH-264 to Temurda, Shegaon and to the camp via Ashta & Mudholi. 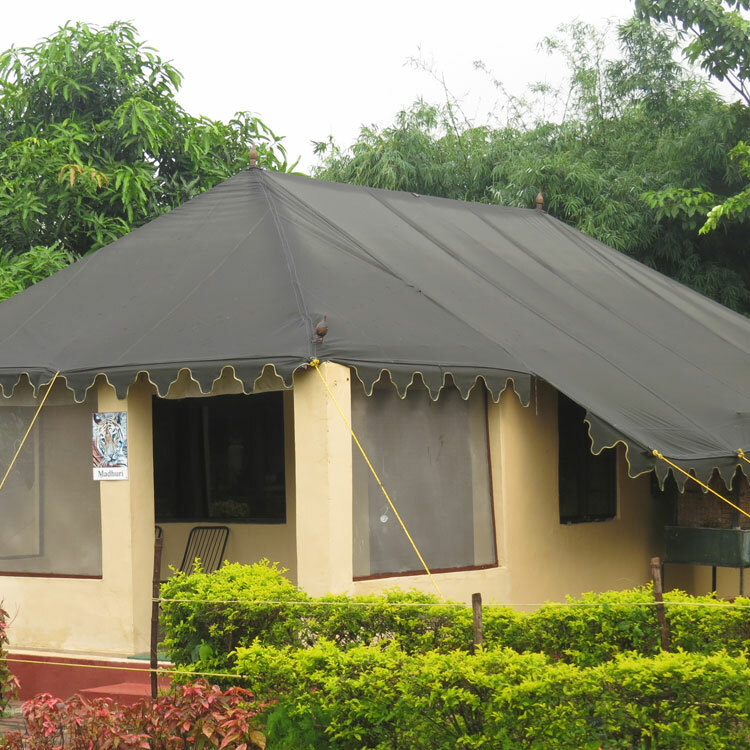 Camp Serai Tiger is at a distance of about 5 kms from Mohrali Entrance of TATR.